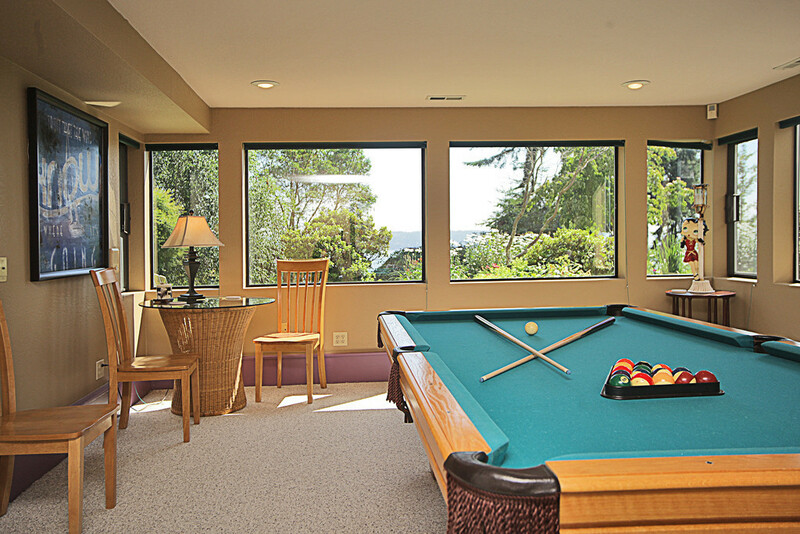 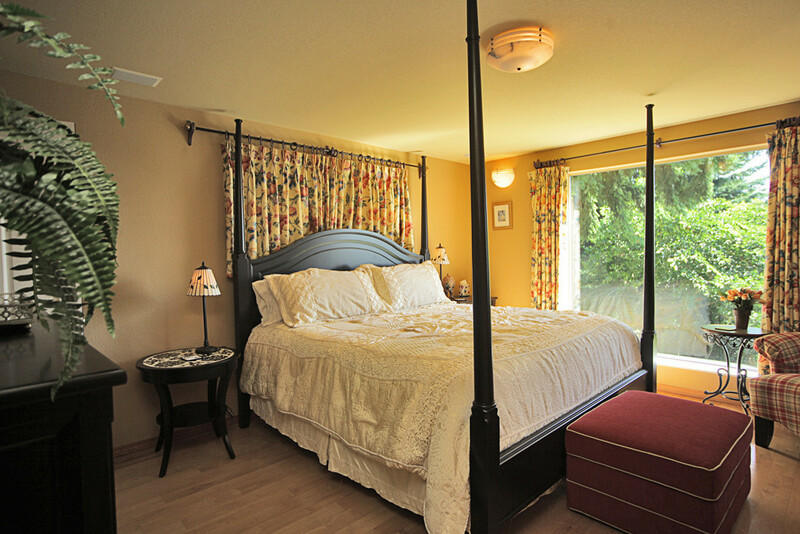 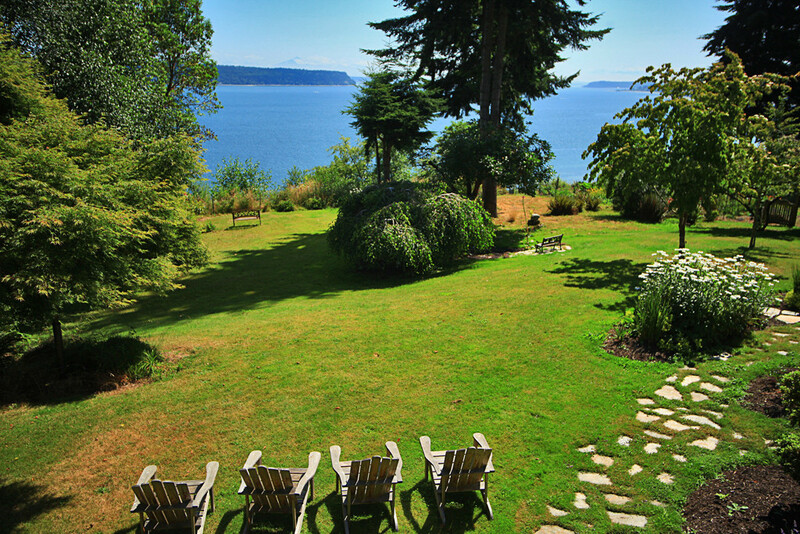 The Island Bluff House is the perfect place for your family reunion, business retreat or group getaway. 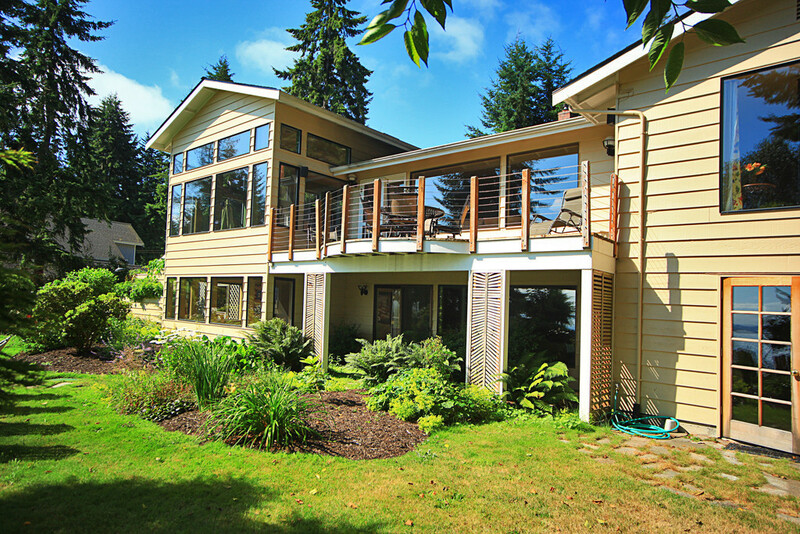 This beautiful home sits high on the bluff above Saratoga Passage and is just 3 miles from the quaint seaside town of Langley. 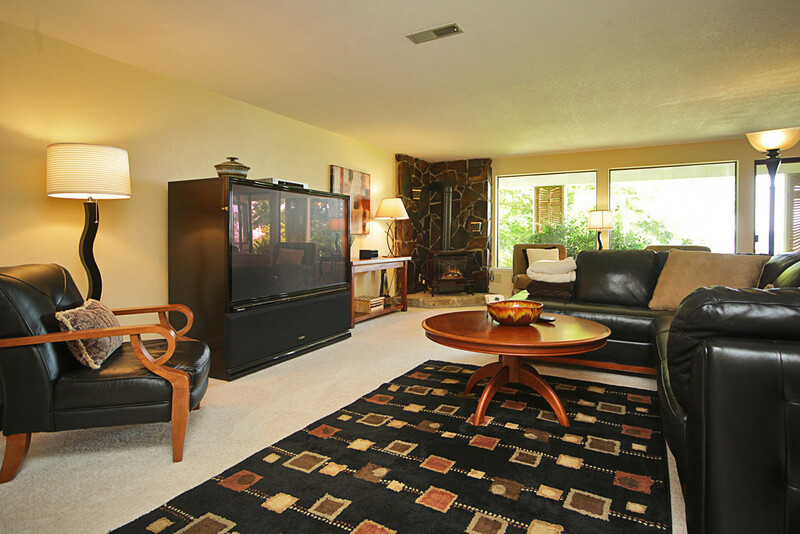 There are 4 bedrooms plus a den with a sleep sofa spread out over 3 levels. 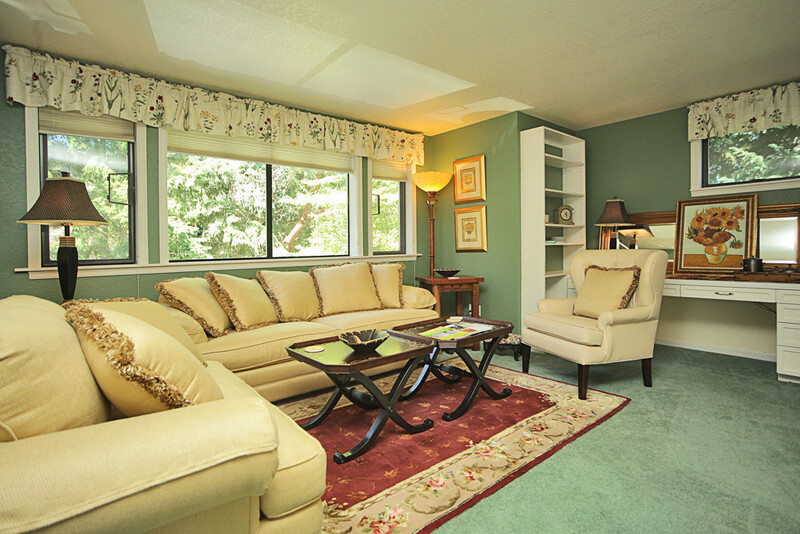 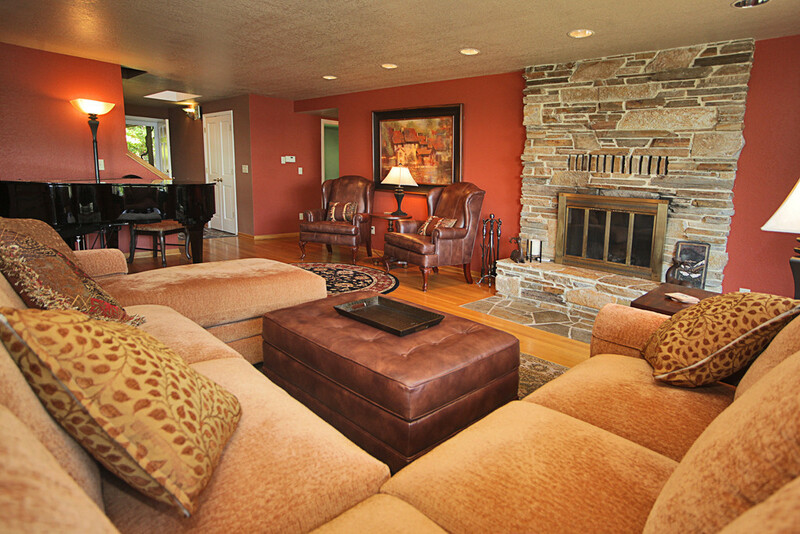 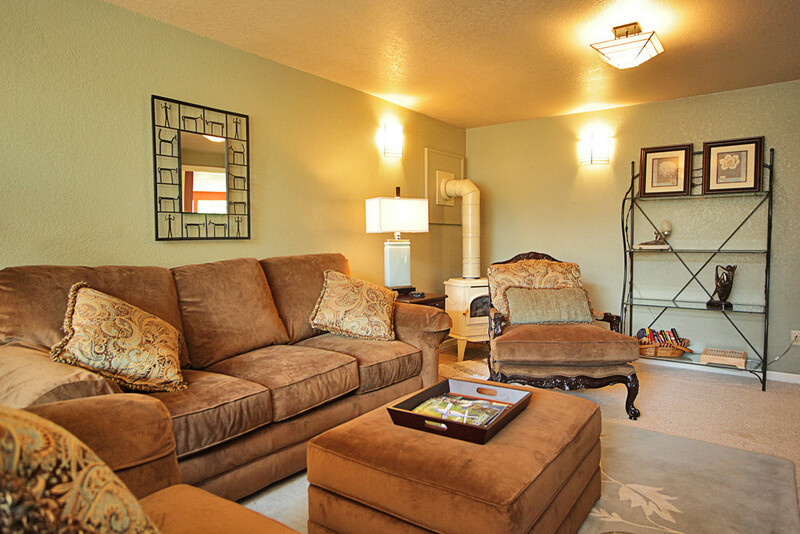 The spacious, yet cozy main living area has a large sectional and a wood fireplace. 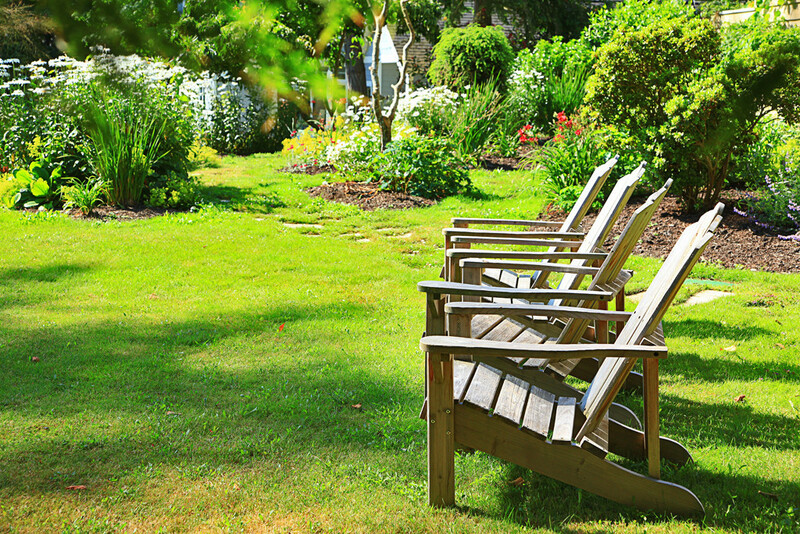 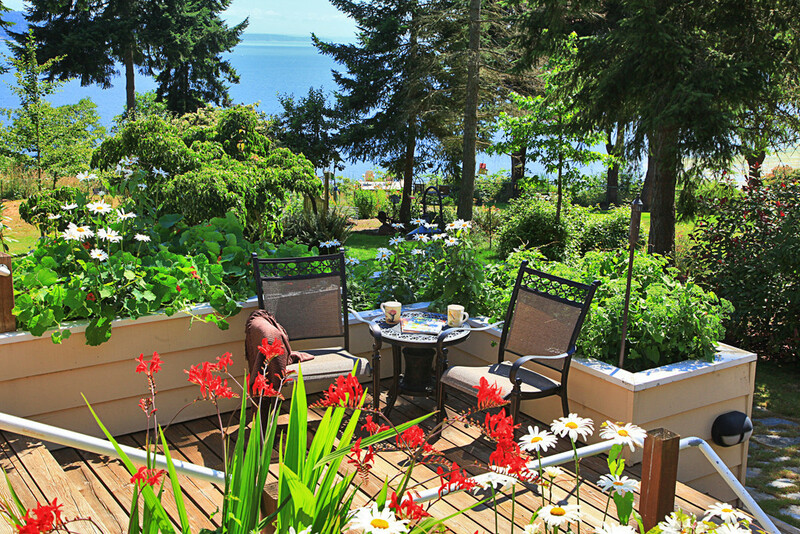 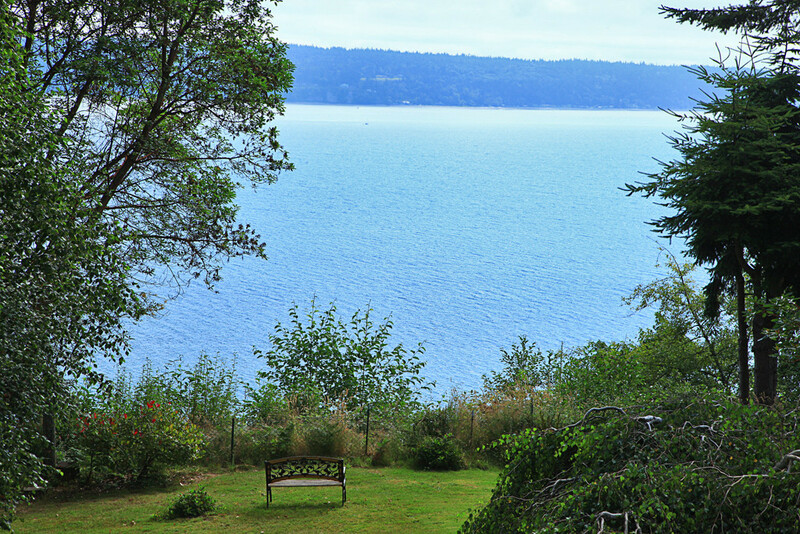 Sit here for conversation and to take in the beautiful view of Saratoga Passage. 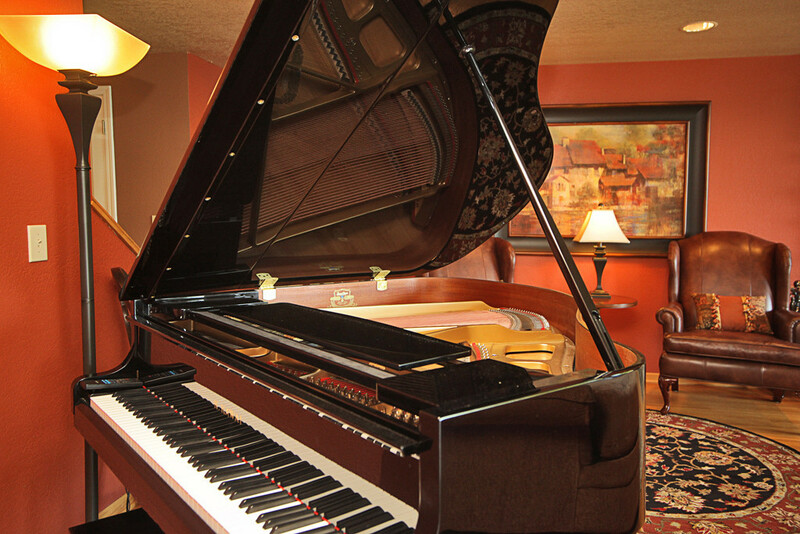 You can also entertain your guests with some music on the baby grand piano! 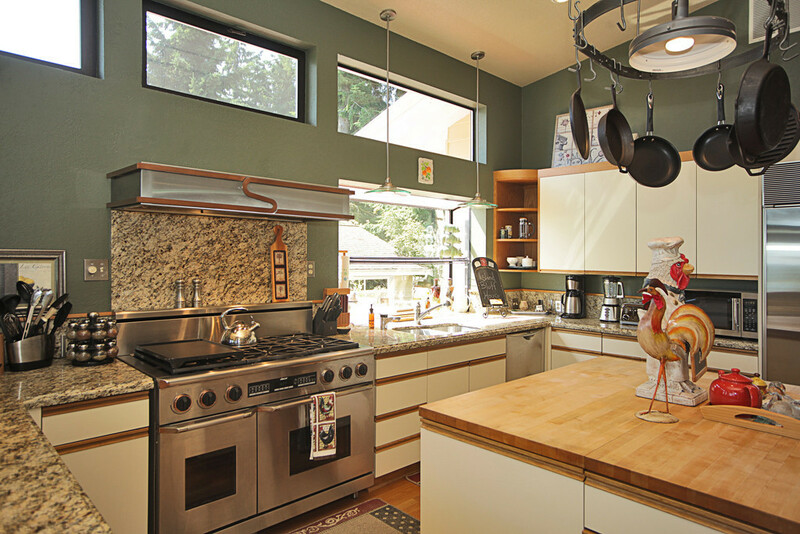 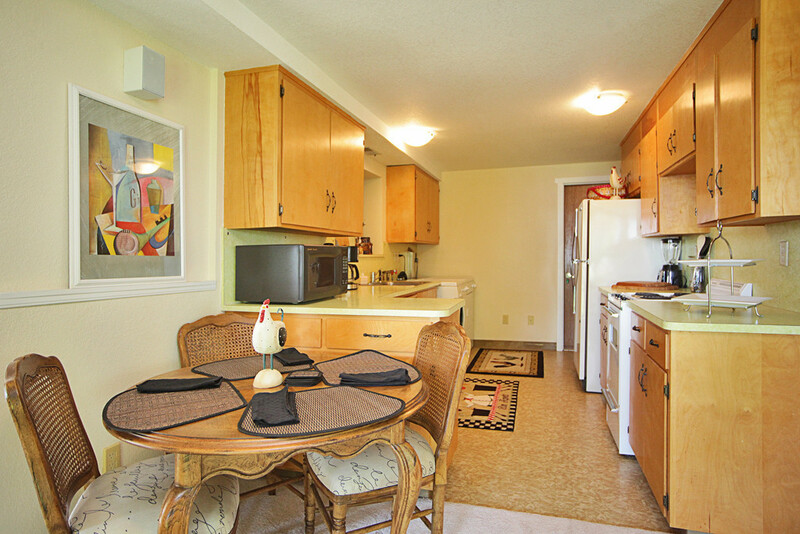 In addition to your everyday kitchen amenities, this gourmet kitchen features a Decor double oven, Sub Zero refrigerator, wine cooler, double drawer dishwasher and an over sized outside grill. 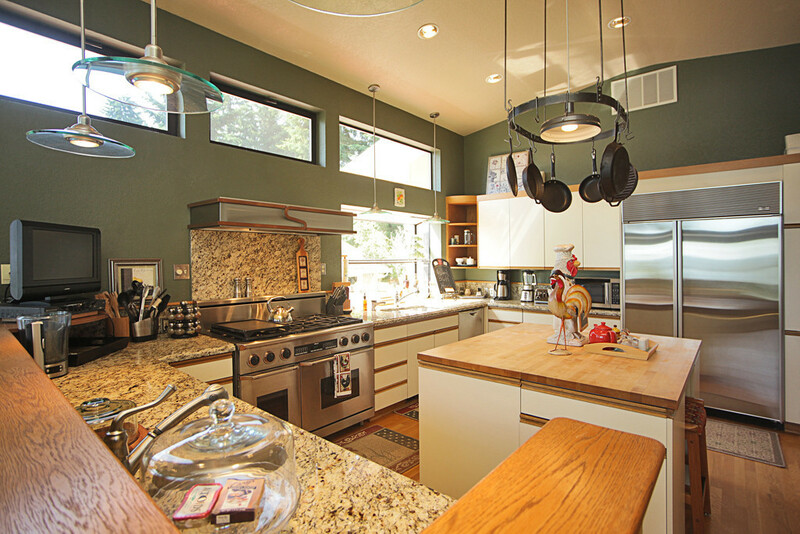 The dining area just off of the kitchen is surrounded by large windows so you can take in the wonderful views while you dine. 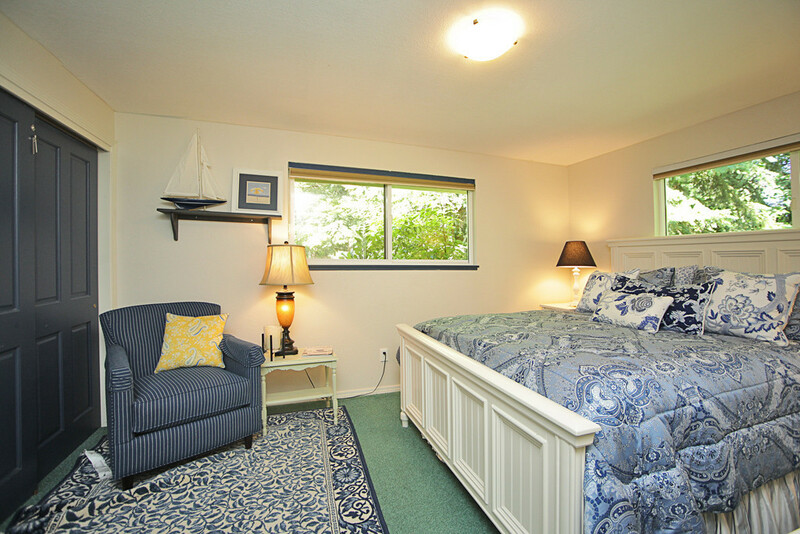 On the top floor you will find a private master suite with its own sitting area, walk in closet, coffee maker, mini-fridge, microwave, balcony and spacious master bathroom. 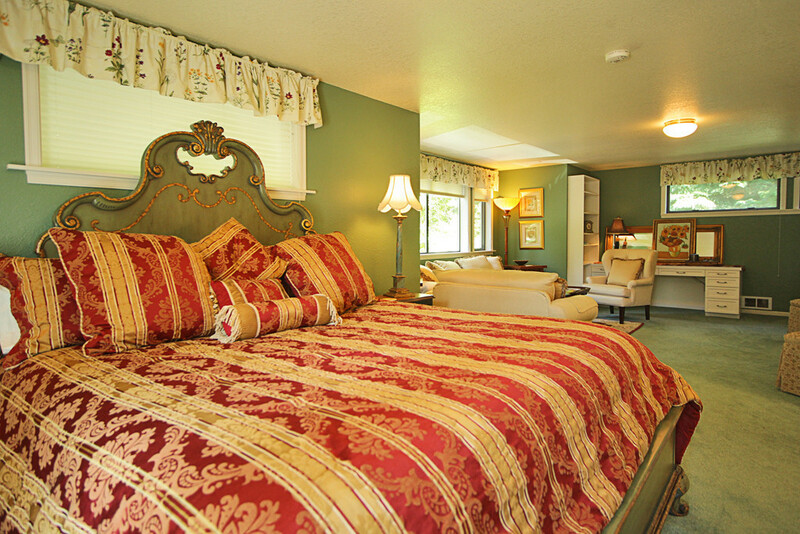 This master has a King size bed and a large flat screen TV. 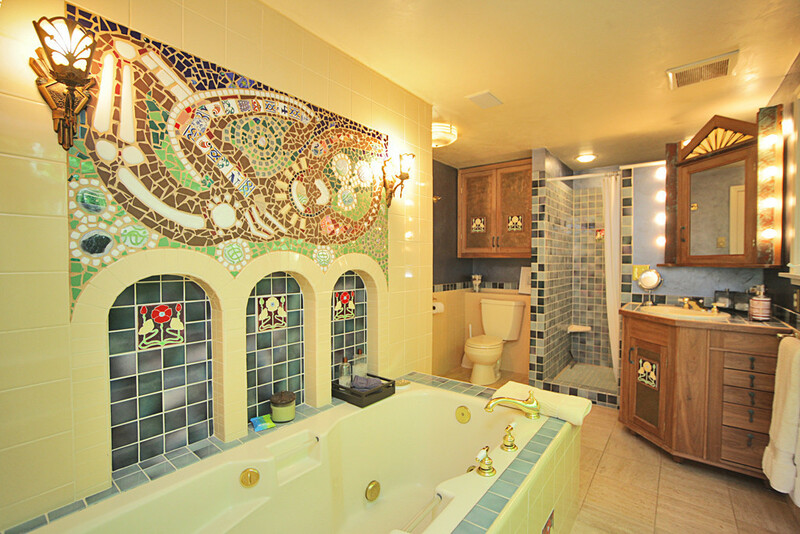 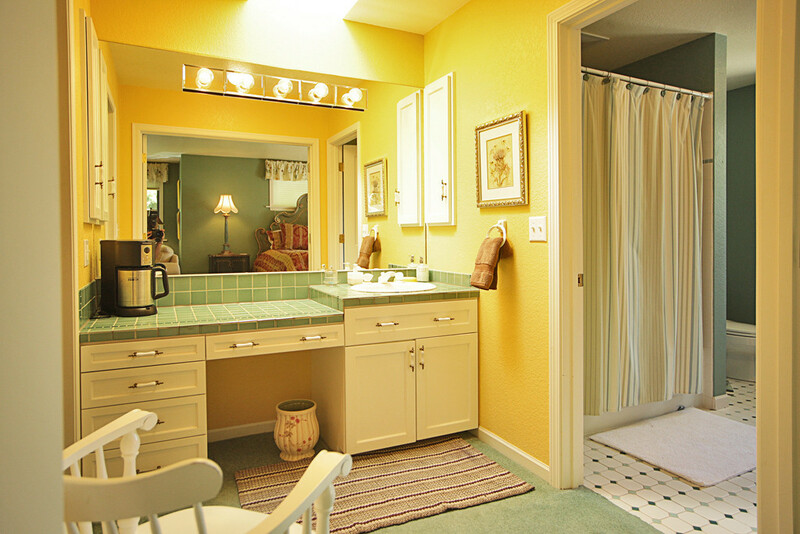 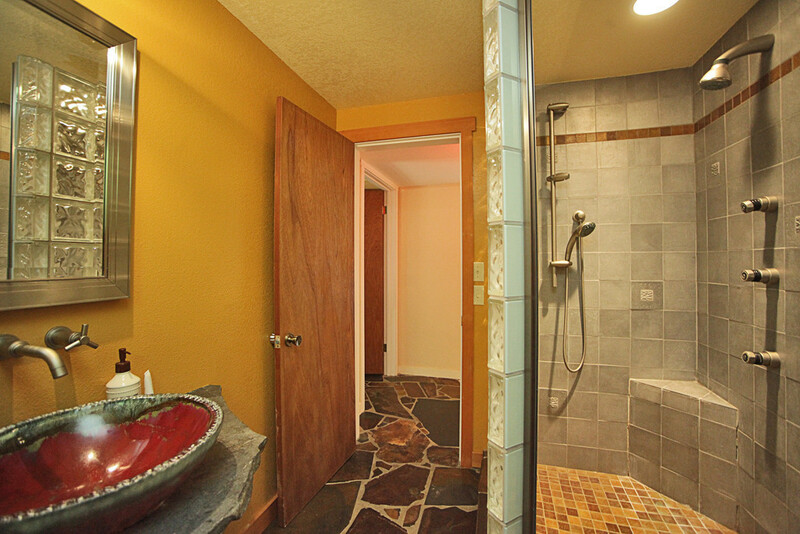 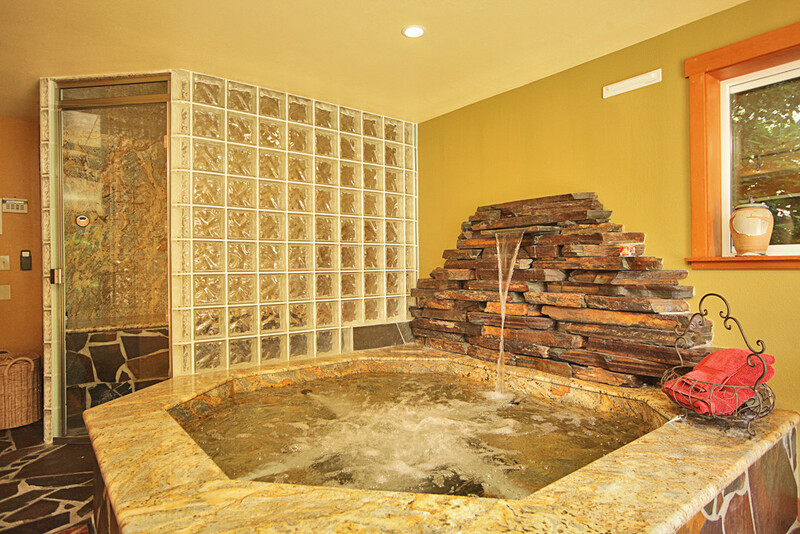 One of the many highlights of this home is the incredible spa with a steam bath and a Jacuzzi with room for 8. 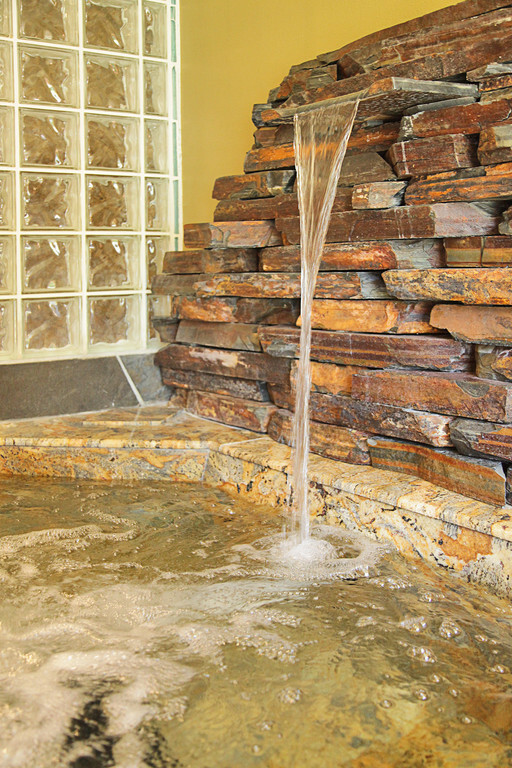 We have also provided a massage table to so can enjoy a professional massage without leaving the house. 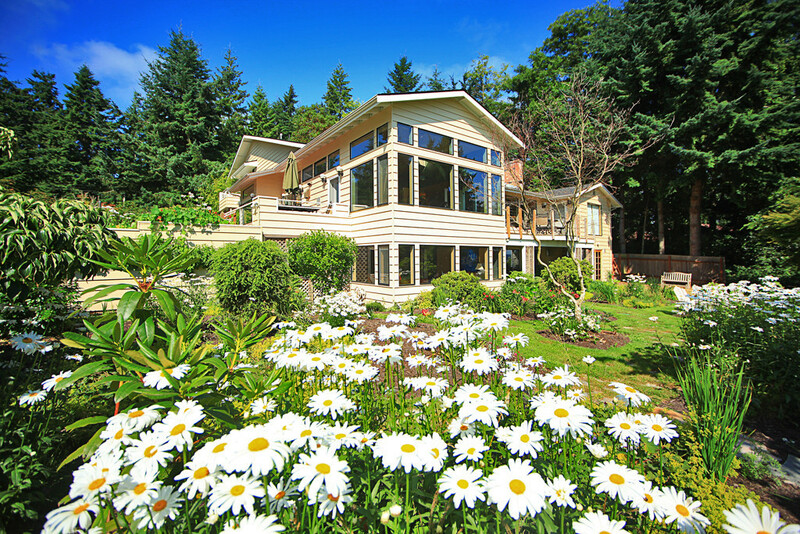 Just ask and we would be happy to arrange for you. 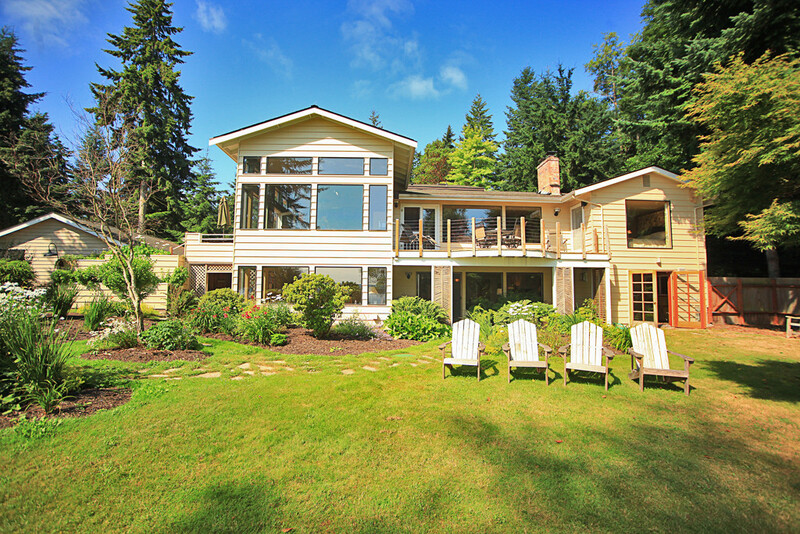 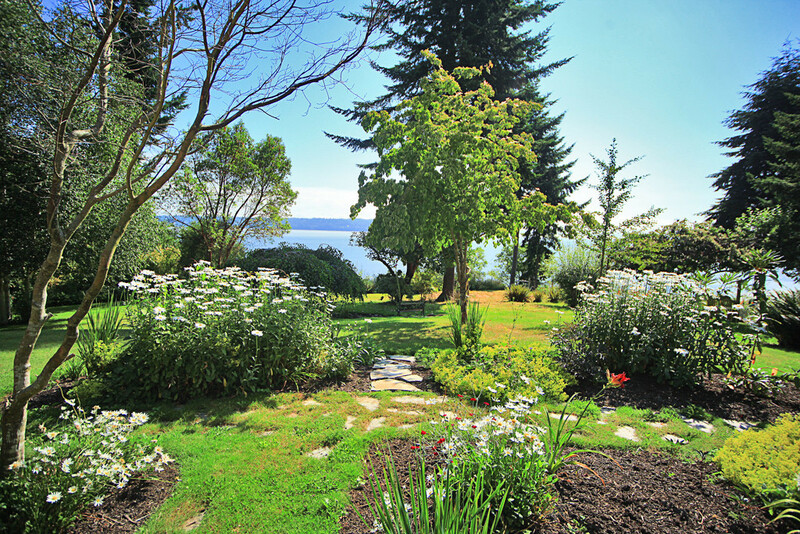 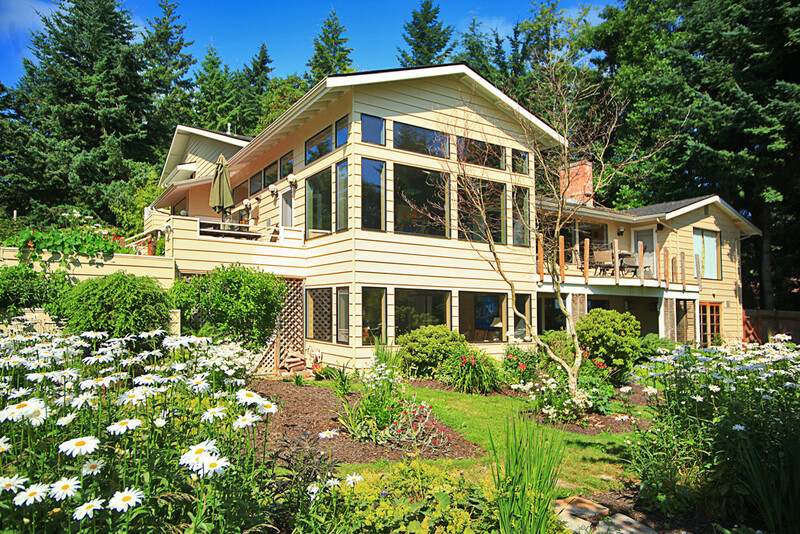 Sitting on over a half acre of beautiful gardens overlooking Saratoga Passage, the Island Bluff House is the perfect place to enjoy a special gathering.